Coastal décor is perfectly reminiscent of the warmest season, and evokes images of beach houses, seaside cottages, and relaxed summer days. You can use coastal window treatments to bring in textures and colors inspired by the sand and sea, whether or not your house is near the beach. Natural materials fit right into the coastal style—think seagrass, sand dunes, and driftwood. Woven Wood Shades add warmth and texture to your windows, and will stand out beautifully for a beachy look. 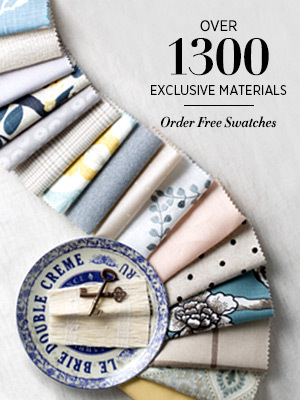 Cotton and linen fabrics are also classic choices for breezy window treatments. Relaxed Roman Shades in white linen lend a crisp yet casual feel to any space. Gauzy sheer drapes in a natural material add comfort and softness, especially in living rooms and bedrooms. While coastal style is known for muted neutrals like white, sand, and light beige, your window treatments are the ideal place to add a fun pop of color. Beach balls, popsicles, seashells, kites, and coral come to mind as color inspirations. Choose a bright fabric for your shades or drapes, and pull in the same color with accents throughout the room like pillows, rugs, and art. 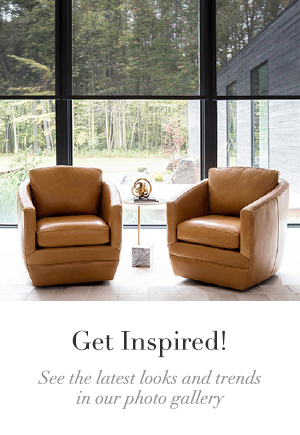 If you’re looking to add pattern to your space, our exclusive designer collections offer many options. A subtle blue pattern such as Netscape from our Jeffrey Alan Marks collection mimic the look of water reflections in the sunlight. To channel a sunnier vibe, our Lilly Pulitzer collection of window treatment fabrics features by a Palm Beach-inspired color palette. When it comes to selecting the right window treatment for a beach-style house, there are many options to choose from. It’s important to consider not only the style of window treatment which best fits your unique aesthetic, but also your window covering needs. Do you need sun protection? Do you have a beautiful view you want to preserve? Is your home near the ocean or another humid area? Fortunately, you don’t have to sacrifice style for utility. We offer a number of window treatment options that are as functional as they are beautiful. 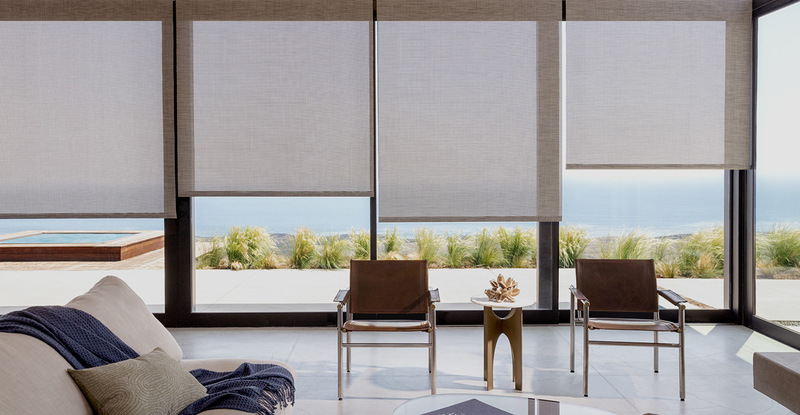 Woven Wood Shades, Solar Shades, Drapery, and Blinds are all wonderful options for beach-style homes, and each style provides a unique set of benefits and options. Long gone are the days when stiff, heavy drapery was your only option. Soft and light-color drapery can create a breezy, elegant effect for hallways, sliding glass doors, and larger windows. Ripple Fold Drapery offers modern simplicity and beauty with long, clean lines—perfect achieving an airy beach aesthetic, especially in cool neutral tones of lighter materials such as linen or cotton. For a more traditional style, Rod Pocket Drapery is an ideal choice for a soft, casual look. 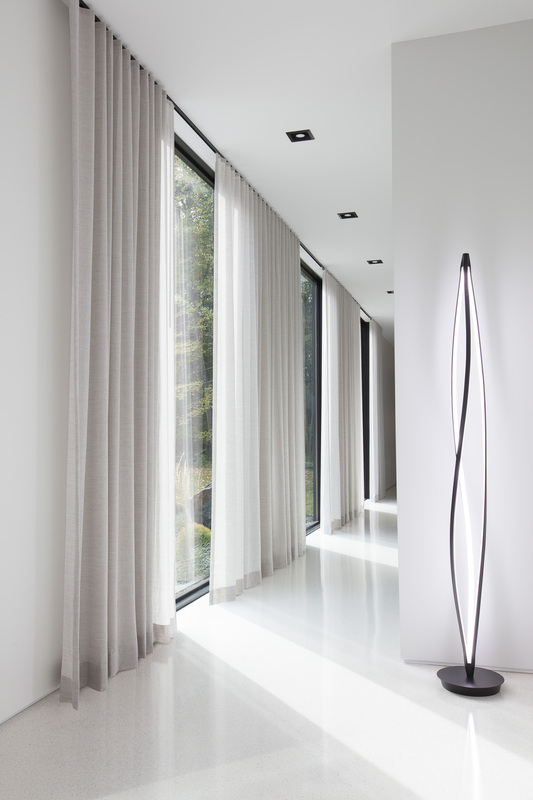 Sheer materials are a great way to add texture and visual interest while still maintaining a bright, light feel. Valances are another design element that you can incorporate into your coastal decor. Think of a valance as the “finishing touch” to a window treatments. These decorative coverings give the top of your window a clean, elegant look and pair well with most Roller Shades, Solar Shades, Romand Shades and Woven Wood Shades. If you’re looking for durability, blinds are a good fit for beach-inspired decor. 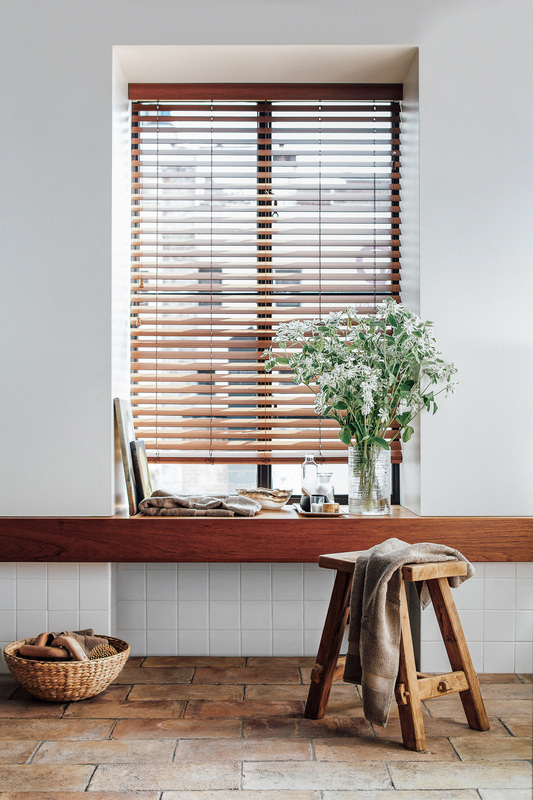 Wood Blinds bring a natural element to your window, and are available in a number of finishes inspired by nature to perfectly match a beachy palette. Faux Wood Blinds are resistant to mildew, warping, and moisture, making them ideal for homes located on coastlines. 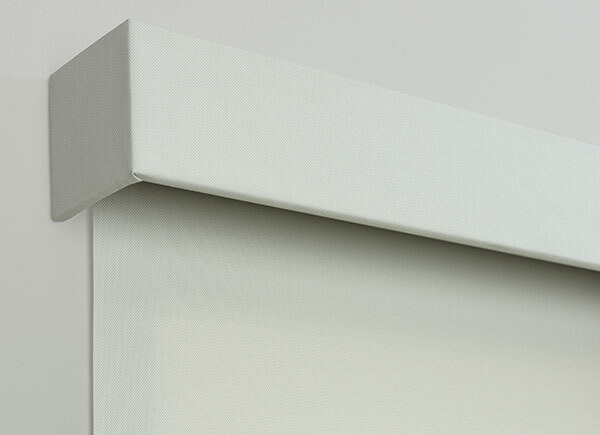 Our Faux Wood Blinds are handcrafted from top-quality foam wood. Solar Shades are a perfect option for large windows, as they protect your home from UV rays and glare, while maintaining a clear view—perfect for long, sunny days near the coast. 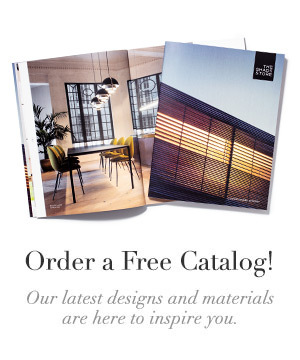 Order free swatches of any of the colors or materials we’ve mentioned, or stop into one of our nationwide showrooms to meet with our designers who can help you find the perfect coastal window treatments for your home.